I did a crazy thing in 2010. I decided to quit my 10-year career as a College English Professor and pursue my dream of writing full-time.
? ? ? What ? ? ? People thought I was crazy, and I guess to a certain extent I was. But I was crazy with a purpose. I knew I had it in me to earn my living with words, and it turns out I was right. 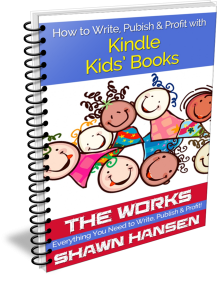 I love what I do, and if using your words to make a living sounds good, I want to help you take that “crazy” step and learn how to Write, Publish & Profit. I've earned awards with my writing, been a featured speaker at a variety of writing/publishing events, self-published three fiction books, sold nearly 2,000 short stories, created more than 20 products to help people write, publish & profit, and taught hundreds of classes in person and online. to Write, Publish & Profit with your words. 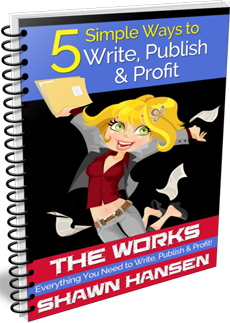 Sign Up for the Free “5 Simple Ways to Write, Publish & Profit!” HERE. 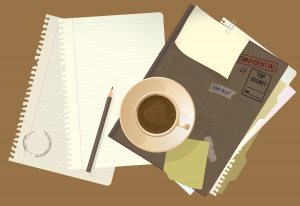 For articles about writing, publishing, and profiting, check out the BLOG. To learn more about writing fiction, jump to the FICTION PAGE. If you're more interested in nonfiction, jump to the NONFICTION PAGE. Looking for writing guides to get you started? Take a look at the WRITING COURSES PAGE. P.S. Want to learn more about me and my journey from College English Professor to Author Entrepreneur? Click Here!